Hi Jerry Richman can be reached at 508-644-5825 only between 6pm to 8pm EST. or by mail at Woodlawn Cleaners 334 N.Main St. Randolf, MA 02368.If the line is busy keep trying. The price was $175. you will also need to get two coils,two condensers and two coil brackets. They can be purchased from Early Ford V8 Sales in NY. I will include a picture of the set-up. Hey George, I wonder how many guys know that Skip Haney at Skip's Water Pumps in Florida, will put all new insides in your old Lincoln coil for $175, and it should last for more than 20 years and have a much hotter spark, same price as all the coils and wires hanging all over the front of an engine, which this old guy thinks does not look too good, the V-12 distributor is an "objet de arte" in my opinion, makes, a nice mantle piece in the house. Well maybe more now that you mentioned it. Everything I've done can be brought back to original in 45 minutes, 30 if I flatrate the job. Can you post a contact # or email for Skip. Thanks George. put it in, with the cam on the top of its stroke I checked that nothing was binding in the pump when pressed down by hand onto the manifold without the gasket fitted, I fitted the gasket bolted everything up, I started it up and it sounded OK, I had the car out for a 200 mile run two weeks ago, and it went like a dream, top gear all the way, appart from 2 very steep hills with bends, where I could not get a run at it. 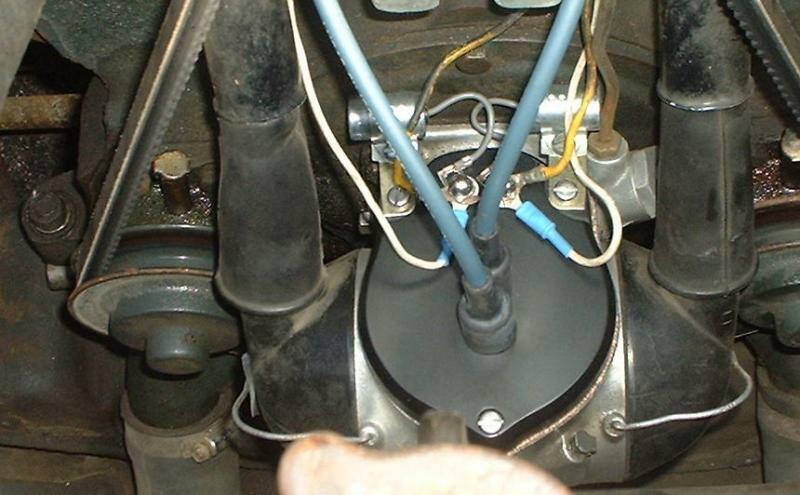 The push rod, pushes the relay lever, which pulls the diaphragm down and draws fuel up from the tank, your spring pushes up on the diaphragm, which delivers the petrol to the carb, this allows the diaphragm variable movement. i.e. when on tickover the pushrod and relay lever will move, but the diaphragm will already be held down by the pressure of the fuel in the line from the pump to the carb, so the diaphragm is moving very little on tickover, once you put your foot down, it moves further to compensate for the fuel being used, (a sort of automatic free wheeling device) if either the push rod is too short, or the spring too weak, fuel starvation will occur. CBoz/Peecher, were one of you looking for a trunk handle for a 37 zephyr, Ebay 260114716282, its listed as an interior handle.